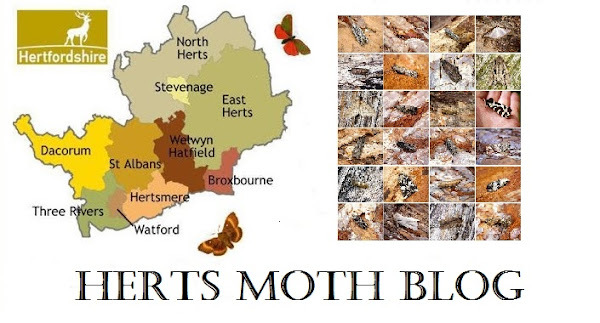 A quick write up of a last minute field trip to try and find an adult White-spotted Pinion, of which a Caterpillar was found by John Chainey and Jenny Spence earlier on this year. In short, we were unsuccessful in finding them, and we really struggled on the night to get the traps out of the wind and we even had a few brief showers that were soon blown thrugh luckily. Best moths of the night were a single Small Mottled Willow to John and Jenny's trap and a moth I rarely see, Ypsolopha horridella to one of my traps. All in all despite quite probably my lowest species count for the start of August ever, it was nice to catch up with everybody.